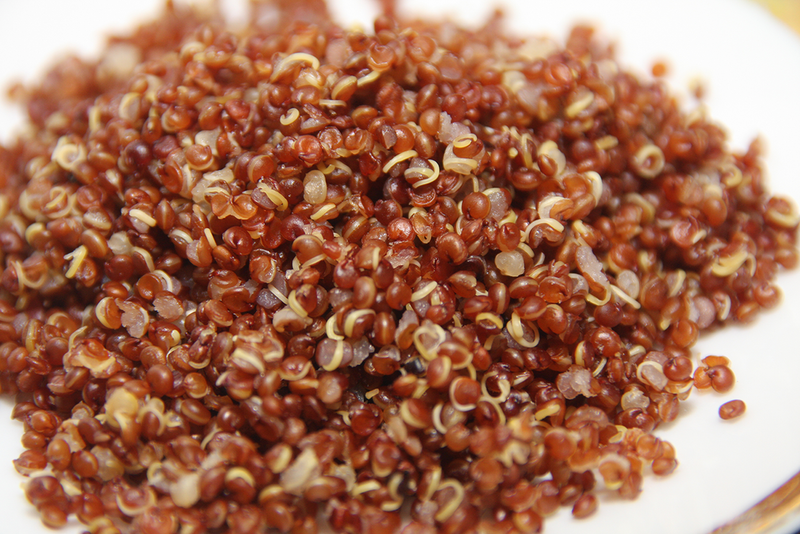 Place 1 cup of quinoa and 2 cups of water in a pot set to boil. After it boils turn the heat down to low or simmer, and put a lid on it. Check it in about 10 minutes, stir it and if there is still moisture in the bottom give it a few more minutes, then remove from heat. Place the quinoa in a bowl and let it cool on the counter. If you are in a rush you can put it in the fridge but I’ve found it’s better to let it rest a bit on the counter so try to allow 20 minutes after cooking to let the quinoa cool down BEFORE you mix in your ingredients. Sam said he liked it hot (yes I mixed the ingredients in while hot the first time) but it really is better served as a side salad, lol.